1 In addition Finnish/Kven is used in the municipal administration in one municipalitiy. 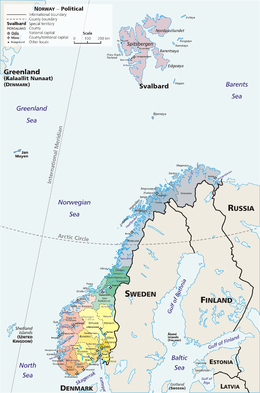 Nowe (Tok Inglis: Norway) em i wanpela kantri long Yurop. Kantri we i klostu long em i Denmak na Swidan. Oslo i kapitol bilong Nowe. Tokples bilong Nowe i Tok Nowe. ↑ 2017 Human Development Report. United Nations Development Programme (2017). Retrieved on 14 September 2018. This page was last edited on 5 Mas 2019, at 12:39.